Why is it we need the refrigerator ? Well , everyone wants a fridge spacious , energy efficient and long lasting fridge in our warm home . That is a necessity to every home . Everyone in the house uses a part of spaces in the fridge , oh let me brief you , lol , my mum uses the most as she'll be the one who is cooking the freezer and almost every containers spaces she uses it to place the vegetables , the meats , and dairy products , while me and my sisters uses almost quarter of the spaces to put our left over chocolates & desserts and my daddy will place his can drinks , last but not least my younger sister they place their funny own making ice cubes . Can you imagine , it is like our wardrobe from our bedroom to protect our clothes , accessories , cosmetics and all ? Yeah ! That's why I think the has a greater function as it stores our daily need : FOOD & BEVERAGES . So , I called it the Kitchen Closet ! I'll make this simple : it STORES food & PRODUCE ice cubes basically larh! For me as an interior design , it can says that I'm VERY SENSITIVE to concept & designs on certain products in the market . As you know that would be one of the main SELLING POINT ! Yes , refrigerator colours and the design would definitely affect your kitchen , specially the DRY KITCHEN where it is thec recommended area space for you to place your fridge . 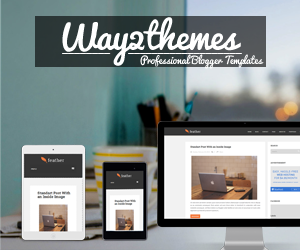 *read more below & view the samples of the interio design i meant ! 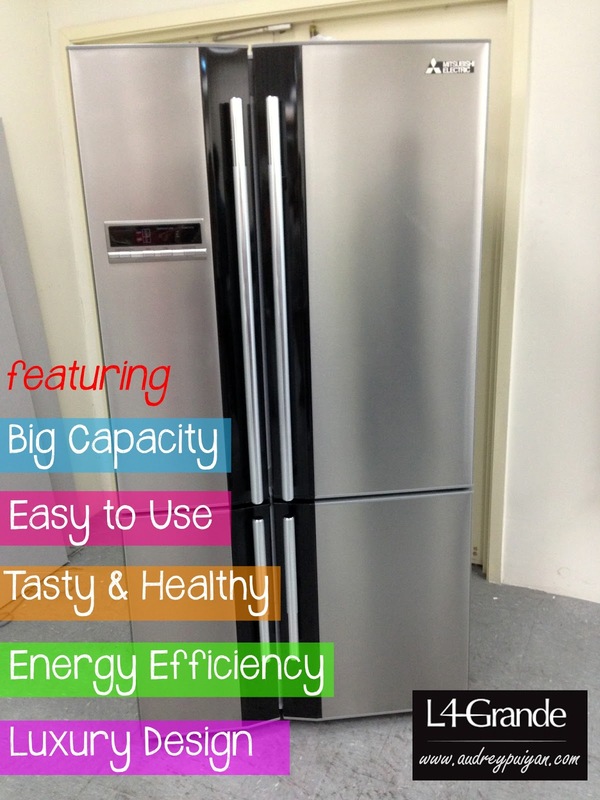 In this particular post , Let me share and introduce to you the new stylish fridge from MITSUBISHI ELECTRIC ! Never seen such modern and sleek design of a refrigerator yet ? I'm gonna tell you more about this L4 Grande. 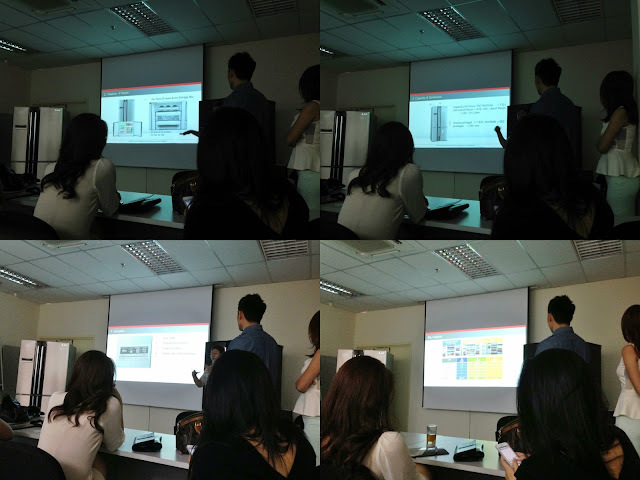 Last Saturday , me with the other Advertlets bloggers attend to the Melco Sales Malaysia (Mitsubishi Electric) for the L4 Grande preview . Feel free to know more about the Mitsubishi Electric home appliances . 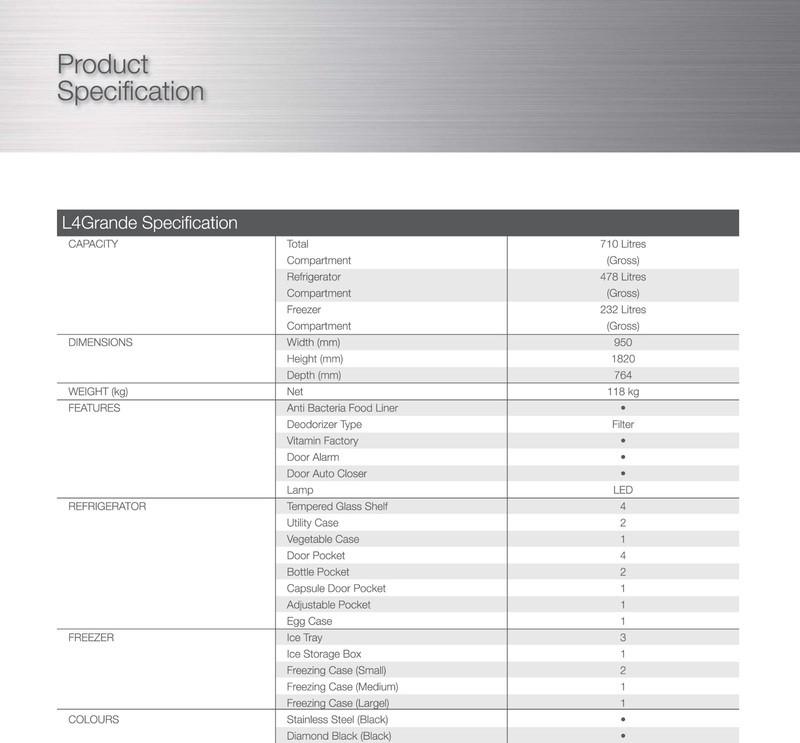 We were firstly briefed about the specification & details of the L4 Grande . After knowing the functionality about the fridge , we were then have some fun game to test whether we know how to organise the food & beverages into the fridge at the right compartment as well . We were separated into two teams which is TEAM A & TEAM B , i was with the TEAM B . These are the food & beverages that provided to place into the fridge . The TEAM which finishes to place everything into the fridge consider are the winning team BUT with one important condition placing is accordingly into the right space & compartment ! Wow , that will be fun ! Can drinks , frozen food , dairy products , ice-creams , eggs , fruits & vegetables ! We were given about 10 minutes for discussion in our own team before the game starts ! My team was discussing where to place accordingly and who will be in charge which compartment . My team is the Stainless Steel fridge. Unfortunately , the winner TEAM A because they place everything at the right compartment . Tee-hee ! Then , we were served with complimentary light food . Alright , the event was fun and I enjoy knowing so much about the L4 Grande but what was so great about it? That's what I wanna talk about in this post . 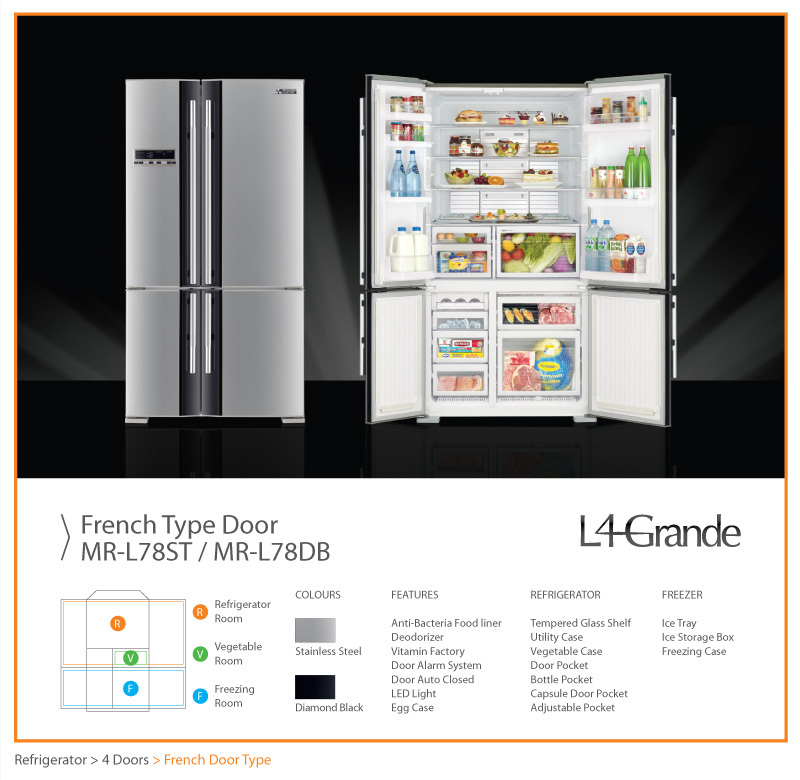 It's seriously function like an actual french door . The moving picture below is from the Concept Magazine showing you the opening of a French Door L4 Grande . These both colours are easily matched with most kitchen colour tone ! These are the L4 Grande specification . There are FIVE FACTS about this fridge . It says BIG CAPACITY which means YAYYY ! lol , such an unique designed fridge aren't just for the viewing purpose aka deco purpose but it has to be practical . Large storage with a suitable combination of refrigerator room , vegetable room , and freezer room . It is 950mm wide , large & wide platters in with ease , making dinner parties . As you can see the design of the fridge , it is designed with the compartment that are allow easy access and reduce the bending of body . Top view from the fridge . The special part of this fridge is that , you will have special storage area for fresh meats , dairy products and also for canned and bottled beverages , with setting at around 3-6 degree celcius you will be able to store and prolong the freshness . The best part , they come in variety of sizes to allow to store different sizes of food with the packaging . Large modern touch display for easy control and monitor the operation of the fridge . Well , it comes with child lock as well ! The interior of the fridge provides LED Lights that offer brighter luminosity and it is Energy Effiency ! This is to prevent the food items form falling down when placing on top door pocket . The fridge has LED Sunlight , only in Mitsubishi refrigerators , our " Vitamin Factory " does acts on chlorophyll in vegetables , as it stimulates the food manufacturing process which known as (Photosynthesis ) . Besides that , it has the humidity control that it is an ideal surroundings for vegetables and fruits to stay crisper and fresher for longer . A top tray that slides back is idea for storing smaller items , with a deep base underneath for larger vegetables . They also has the Twin Fans Multi Air-Flow which is more powerful cooling air to ensure the coolness of the air are evenly distributed , even to hard-to-cool places such as the filled door pockets . Bonus , Anti-Bacteria Food Liner in action . A silvery inorganic anti-bacteria material is used in the inner cabinet of refrigerator . The material conforms to the Japanese Food Sanitation Law and is harmless to the human body ingested . It also clean the area of the fridge regularly come into contact with food , to ensure the food stay fresher for a longer time . The Eco Mode will automatically lowers the energy consumption level during non-peak hours. Special capability is that the Scene Adjusted Control ( Microprocessor ) , it memorizes the household's usage patterns through various time frames automatically operate the most optimal conditions . Say Hybrid , Luxury , Unique and Stylish Design ! Advance Hybrid design two tone colours combination with a spacious interior and elegant exterior design is a main idea of every final product design . It will be attractive and most importantly L4Grande looks Grand ! These are the two samples that I think it would suits the dry kitchen interiors . 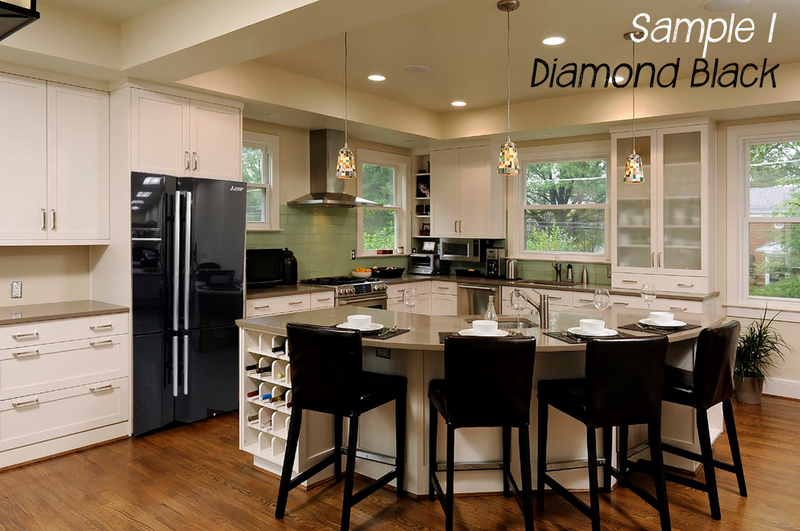 For the Diamond Black , it is a very modern and sleek design . The fridge color suits very well for modern kitchen with bright colors . 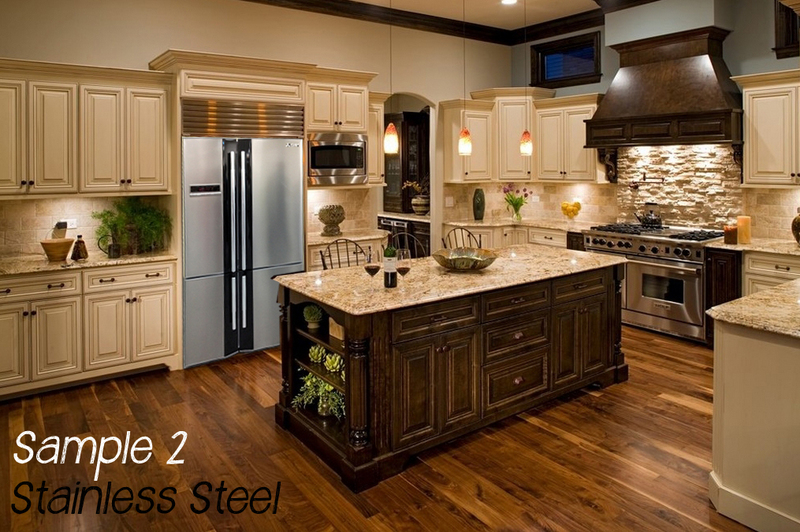 For the Stainless Steel , this material suits well with most dry kitchen interior space . 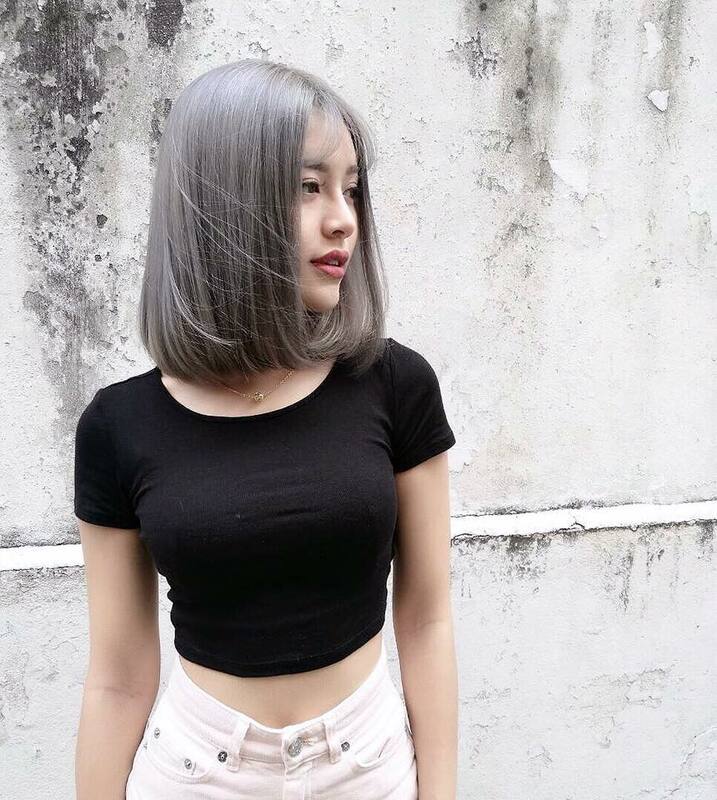 This is because the silver colour can match well with most mood colours because of its reflection and shinny surfaces . This fridge can put into the vintage & traditional kitchen as well . Call the Service Hotline if you're from any of these state for easier enquiries ! Branches : Penang , Malacca , Johor , Pahang , Kelantan , Perak , Sarawak.